United Chemi-Con (UCC) 0.22uF 50VDC Polyester Film cap. Measures 0.393" (10mm) wide x 0.262" (6.66mm) tall x 0.141" (3.6mm) thick and has 0.30" (7.62mm) lead spacing. Rated 85°C and has ±10% tolerance. Full length radial leads. 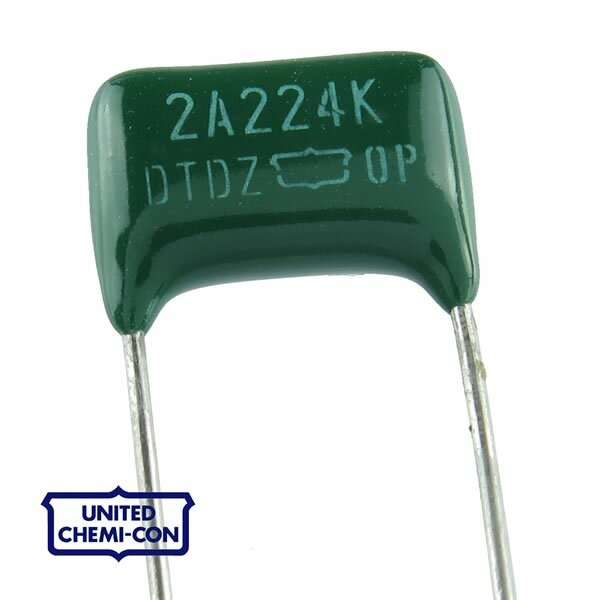 Marked "2A224K DTDZ OP". Sold in a factory bag of 100.